A new poll shows Alternative for Germany (AfD), a far-right, nationalist party, overtaking the center-left Social Democrats (SPD) to pull into second place ahead of a crucial regional election next month in Bavaria, reports Reuters. 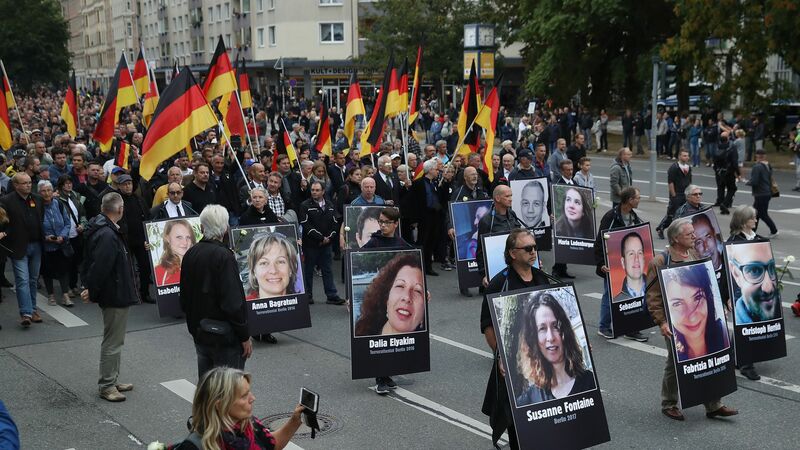 The big picture: The surge follows anti-immigrant demonstrations last week in the city of Chemnitz, where about 6,000 people marched after a German national was killed, allegedly by two refugees. SPD is currently in coalition with Angela Merkel's center-right Central Democratic Union (CDU), making AfD the largest opposition party. The rise of the AfD contributed to an immigration standoff that threatened to bring down Merkel's government in June. She's just one of the many European leaders attempting to fend off anti-migration, populist forces.